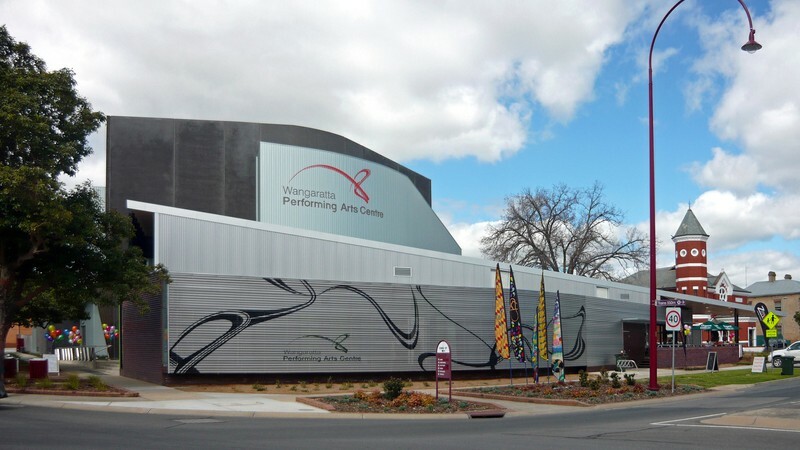 The Wangaratta Performing Arts Centre is a state of the art multimillion dollar venue which opened in September 2009 and offers a new alternative to regional performing and touring. Providing contemporary architecture and facilities including a dedicated, fully equipped 530 raked seat theatre with a balcony, flat floor performance facilities for 500 or 800 with a custom built marquee, six spacious and modern dressing rooms, shower and laundry facilities, a spacious green room equipped with dance barre and mirror for dance company warm ups and a smaller conference room. The multipurpose centre has been built on 'green principles' utilising passive energy wherever possible. All spaces are flexible in size and room layout and catering can be provided by in-house caterers utilising regional and seasonal produce. Wangaratta is situated on the major transport corridor between Melbourne, Sydney and Canberra and is easily accessible by road, rail and air. The Wangaratta Performing Arts Centre is within easy walking distance of the city's popular cafe and dining venues and a wide variety of accommodation.